I've never tried Macadamia Oil before, and so annoyed I left it so long!! My hair is so frizzy once it's blow dried as my hair is so curly when left to dry. This was a life saver. Smoothed through my frizzy hair in a rush it left my hair feeling soft, silky and wavy. I've seen a few reviews on this already saying that it wasn't as good as the Macadamia Oil Treatment (Which I now have, but not used yet.) So I will tell you the comparison in the next review. This oil had a lovely nutty smell which made me hair smell gorgeous!! 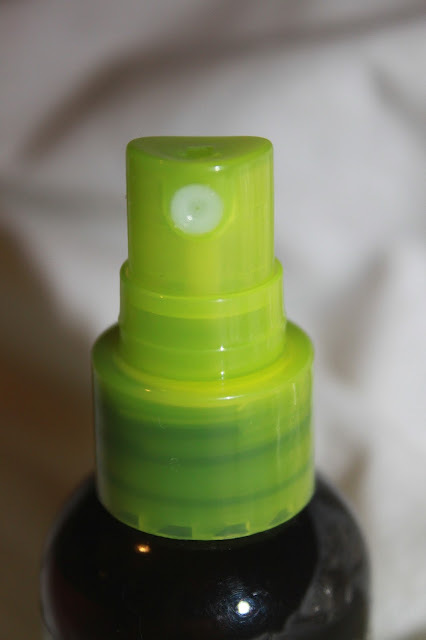 I love how this has a spray bottle - No worries about getting hands greasy!! It's so easy to use and I love using it. Doesn't leave my hair greasy or wet - It's just perfect. It's so brilliant for making my hair gorgeous in seconds. Let me know what you think as most people have had different thoughts on Macadamia Oil. 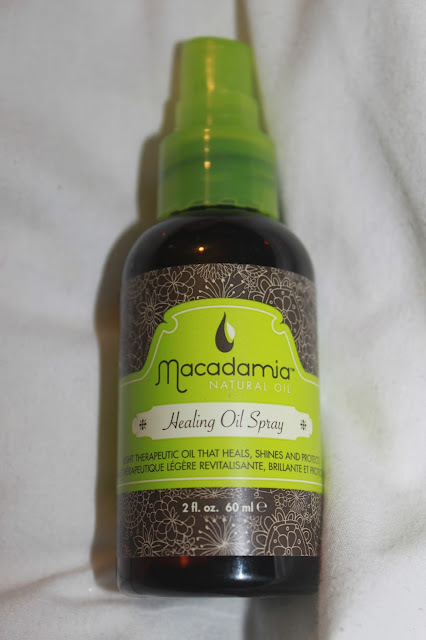 You can find all Macadamia Oil products on the website. Get the 60mls Macadamia Oil spray here for £14.90, or the 125mls for £23.50. I've used several hair serums in the past, mainly Avon ones though so this looks like it would make a nice change! I'm looking forward to your Macadamia Oil Treatment review as I've contemplated buying it myself. I keep hearing about this - I think I need to try and get my hands on some! Looking forwards to the Oil treatment review too to hear your thoughts.